Jane Porter always has a home at CLC, as she was our International Chick Lit Month Hall of Fame nominee in 2013. She is also the first author that we bonded with Book Mama Blog about. Her writing is consistently strong and powerful and she has introduced us to women facing various obstacles and challenges, but finding a way to come out on top. Jane Porter is the New York Times and USA Today bestselling author of romances and 11 women's fiction novels. She holds an MA in Writing from the University of San Francisco and has been a finalist for the prestigious RITA award five times, with her novella, Take Me, Cowboy, winning the Novella Category July 2014. Jane's wildly popular novel, Flirting with Forty, was made into a Lifetime movie starring Heather Locklear and she has two other stories currently in development in Hollywood. 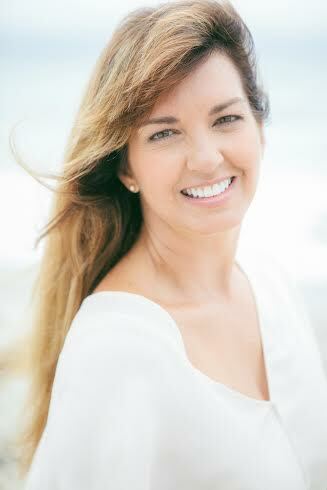 Jane, her surfer husband and three sons call sunny San Clemente, CA home. Her latest novel is It's You, which you can learn more about by reading Book Mama Blog's review. You can find out more about Jane and her releases at her website, Facebook, Twitter, Instagram, and Goodreads. 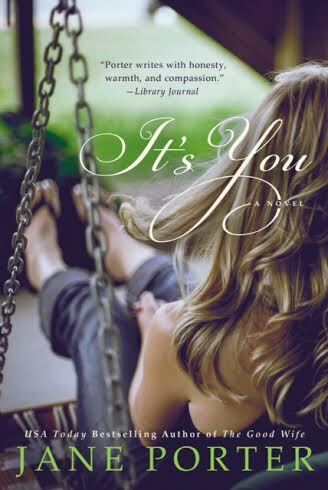 Jane has one copy of It's You to share with a lucky US reader. Book Mama Blog also has a chance for you to win. How do you define the genre "Chick Lit"? I think Chick Lit is a genre that focuses on women’s stories. It’s all about her journey...her growth, her hopes and dreams...and I think it can run the gamut from light and witty to intensely personal to darkly emotional. Looking back on your writing career, thus far, what do you feel is your greatest professional accomplishment? The fact that after fifteen years of becoming a published author that I’ve had 50 stories published and that I’m still writing in two genres. I consider myself very lucky to have such loyal readers. What is your favorite way to connect with your audience? My favorite is an actual physical event where I can just hang out with my readers and visit and chat with them and get to know them as real people instead of merely as ‘a reader.’ I do like Facebook for this, though, too as it gives me a chance to visit their pages and follow their lives and care about them as well. And then of course there is my blog. I love hearing from readers anyway I can! I almost never watch a movie a second time. But then, I never read a book a second time, either. But if I’m home alone and Thor happens to be on...well, I’ll happily watch Thor again. Chris Hemsworth is seriously hot. He’s inspired several of my book heroes so he’s just a perfect escape. For me, success is being me, writing what I need to write and say, and staying true to my path. I’ve been very blessed to have worked with brilliant editors and caring agents and be surrounded with amazing writer friends as well as my reader friends. This is my idea of success. Being real, honest, and grateful for a life that connects me to others, and helps me encourage and inspire through my stories. If I can lift one person up, I’ve done a great thing. Thanks to Jane for another wonderful visit and for sharing her book with our readers. US only. Giveaway ends June 7th at midnight EST. There are quite a few movies that I enjoy watching again and again. It would be any kind of romantic comedy. I always love all of Jane Porter's books. There are so many movies I love to watch over and over... When Harry Met Sally, While You Were Sleeping,and White Christmas just to name a few. Wow, that is a tough question :) I'm going to say Sleepless in Seattle and The Wizard of Oz. I'm sure there are many others, but those are the ones that popped into my head. Labor Day is my favorite love story. such as GWTW, P&P, Film Noir, Doris Day, lots of stuff I really don't have time for. I re-watch "Flirting with Forty" all the time. also, While You Were Sleeping, Serendipity, and Because I Said So. Sleepless in Seattle, You've Got Mail, Anything with Don Knots (Ghost and Mr. Chicken, Shakiest Gun in the West, etc.). Right now I think my favorites movies are Notting Hill, and The Holiday. I can watch them over and over. Every time that I see that Serendipity with John Cusack and Kate Beckinsale is on tv, I usually always watch it. I've lost track of how many times I've seen it. Next, is The Holiday with Cameron Diaz and Kate Winslet. Great question....Dirty Dancing and Flash Dance! Thanks for the giveaway! Crazy,Stupid,Love is the movie that I can watch over and over. 50 first dates! And the Wedding Singer! A movie I could watch over and over is Because I Said So! It's an old one with Buddy Edson (Mail Order Bride).